The Amulet PowerClamp hydraulic thumb is designed for individualized machine models with heavy-duty gussets, serrated teeth, webbing, hardened pins and bushings. For excavators from one to fifty clamps match to buckets, teeth mesh and optional tooth width. The PowerClamp is model-specific to the loader, backhoe or excavator. PowerClamps comes with 140 degree non-linkage or 180 degree linkage models. The PowerClamp can also be ordered with or without Amulet’s pin-grabber severe duty coupler. 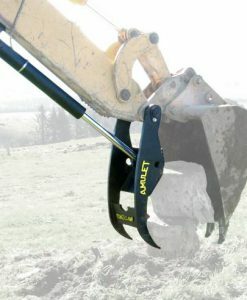 The Amulet PowerClamp increases an excavator’s abilities. 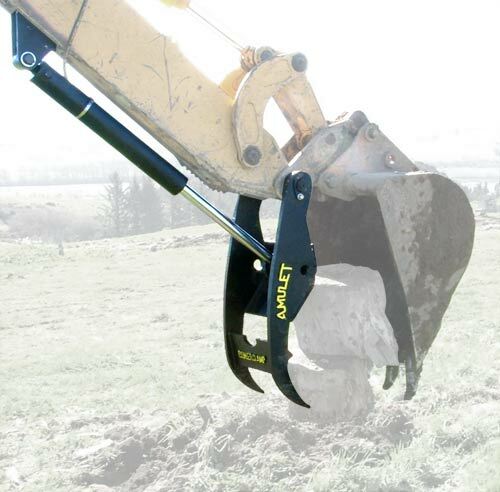 Acting like the thumb on your hand, the PowerClamp allows your excavator to grasp objects. A hard working tool for demolition, land clearing, scrap handling, and log or debris loading. 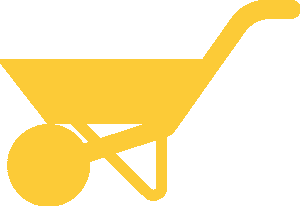 Ideal for removing pavement, or for demolition work as well as separating recyclables.